#1 Anatolia Tile Statuario Polished Porcelain $2.50/s.f. found at Lowe’s. Good balance of subdued and dark veining. Lots of movement and contrast in this tile. Very bold. 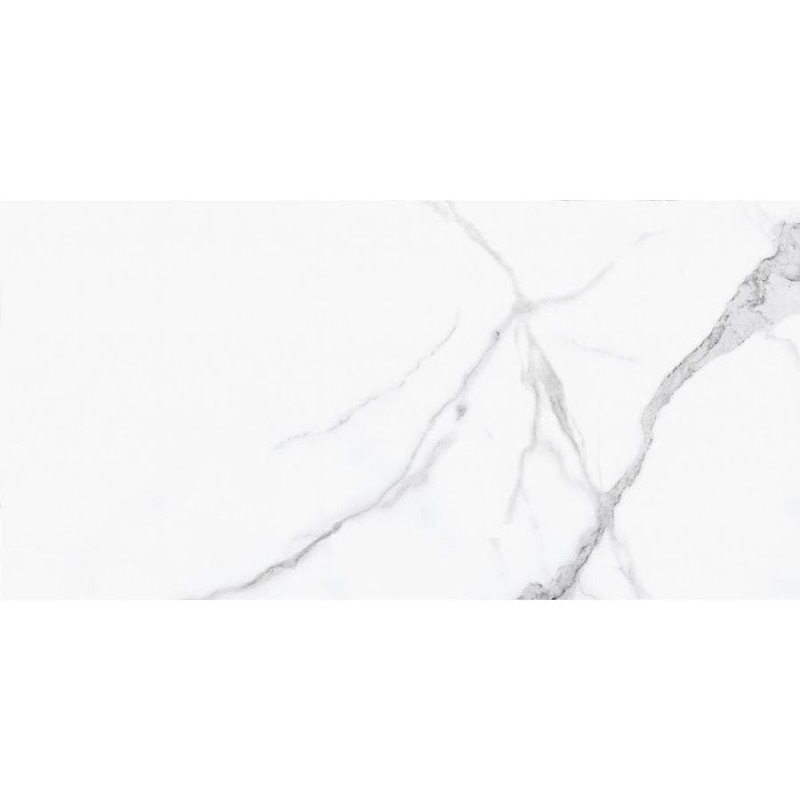 #2 Style Selections Calacatta White Porcelain Marble Floor and Wall Tile $1.99/s.f. found at Lowe’s. Very realistic to Calacatta marble, has brown tones to some of the veining. #3 San Giorgio Volakas Plus Matte $1.99/s.f. found at Floor & Decor. Misty but tons of veining. San Giorgio Volakas Plus White Polished Version $2.69/s.f. #4 San Giorgio Avenza Bianco Porcelain $2.99/s.f. found at Floor & Decor. Stark veining, big contrast, bold statement tile. #5 Terra Cerra Carrara Matte Gray Porcelain $1.69/s.f. found at Floor & Decor. Very subdued and varied veining. Terra Cerra Carrara Polished Gray Porcelain $1.89/s.f. All of these tiles have rectified edges – so they can have small grout lines. Also, the majority of them come in other sizes besides the 12×24 that I’ve shown – that was just the tiles size we were going to buy. They also have both matte and polished versions. I hope my work helps narrow down some choices for you. Tomorrow, I reveal which tile we chose for our Master Bathroom. You might be surprised which one it is. Hope you can come back by to find out!